I had lots to talk about tonight. I managed to survive another World Rock Paper Scissors Championship. Google managed to settle the lawsuit with the Author’s Guild over their book scanning project – paying out a hefty sum, but securing themselves some interesting rights in the process (fodder for a future post, I’m sure, once I figure out what exactly I think about it). But all that was pushed to the side by the nice cashier at the grocery store this evening, Brefny. Brefny? Really? No matter how much you love the old country that’s really not a good name for your daughter. Parents – please ask yourselves whether your “perfect, unique” name for your newborn is likely, seventeen years or so in the future, to get a stranger standing in line at her place of work to pity her childhood. 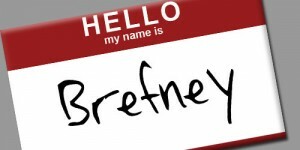 So as a public service announcement: Dear Internet, Please do not name your children Brefny. Also Lexus, Quatar, Cenneigdigh or, past the mid-90’s, Beyonce. A friend of mine has a great story about giving a presentation at an elementary school a few years back. When the teacher saw a little girl not paying attention she snapped “BEYONCE!”, and at least four little girls in the room swiveled their heads to see if it was them being called. This is sad. I am also not keen on Bristol, Piper, Track, Willow, and Trig… at least as an adult I know that Brefny has made peace with her name, but for a child I’m guessing there was some touch-and-go-years.